Germans in Australia offers language coursers for both German and English learners. Ideal for beginners and advanced students alike, we’ll help you find the language course that can give you the support you need for starting your adventure in a new country. Our English teachers have many years experience teaching English at recognised institutions. Courses are typically taught on a one-on-one basis to cater towards everyone’s individual needs. At affordable prices, you’ll find learning English with us is fun and easy! Interested? Drop us an email. 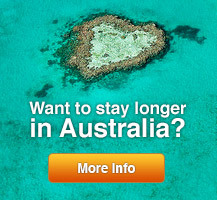 One of our teaching consultants will be in touch shortly to see how we can help you improve your Australian experience. Our German teachers have many years experience teaching German at recognised institutions such as the Goethe-Institut. Through Germans in Australia you can study German on a one-on-one basis or in small groups, catered towards your individual needs. Our German courses are ideal for all levels. Interested? Drop us an email. One of our teaching consultants will be in touch shortly.